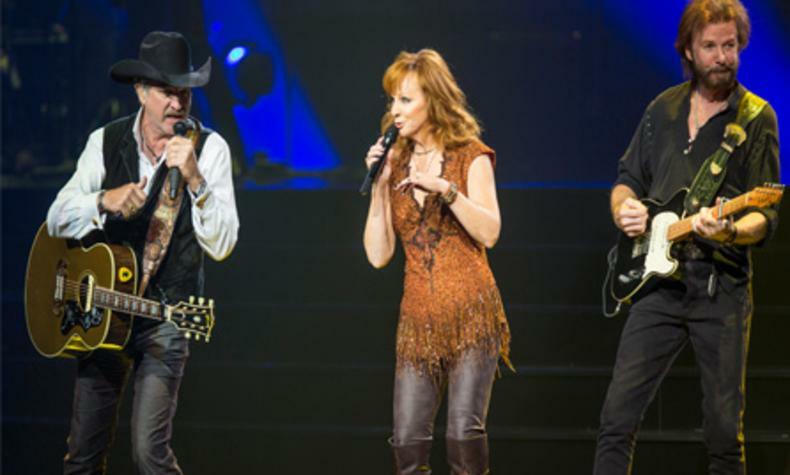 For the first time ever, superstar entertainers Reba, Kix Brooks and Ronnie Dunn join forces for a one-of-a-kind country music residency - REBA, BROOKS & DUNN: Together in Vegas live at Caesar's Palace. Superstar duo Brooks & Dunn released their first album in 1991, a blockbuster that delivered four #1 singles - the first of 23 chart-toppers in a career that's seen Kix Brooks and Ronnie Dunn become the best-selling duo in country music history. Hits like "Boot Scootin' Boogie," "My Maria," "Only in America," and "Believe" have propelled Brooks & Dunn to more than 30 million albums sold. Reba has achieved a rare pinnacle with 35 #1 singles and over 56 million albums sold worldwide, all garnering her a spot in the upper echelon of #1 albums in the Country genre.